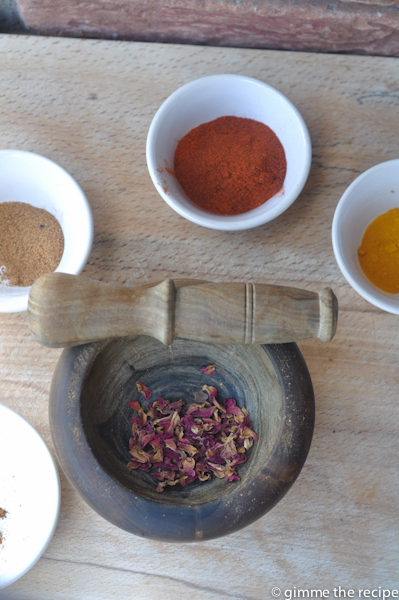 I’ve had variations of this question quite a lot recently as my new cookbook ‘Enjoy!’ has a number of recipes using ‘Ras El Hanout’ and one of the most appealing recipes ‘Jambalaya Chicken’ has been used in a number of publications and websites. 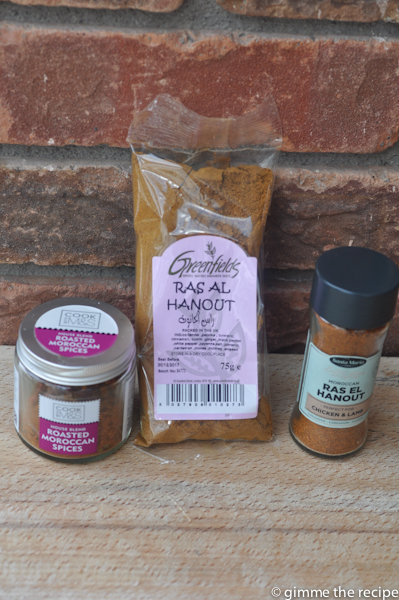 One of my selling points has always been that all of the ingredients I use can be bought in the supermarket however not all supermarkets stock ‘Ras El Hanout’ hence this blog post. 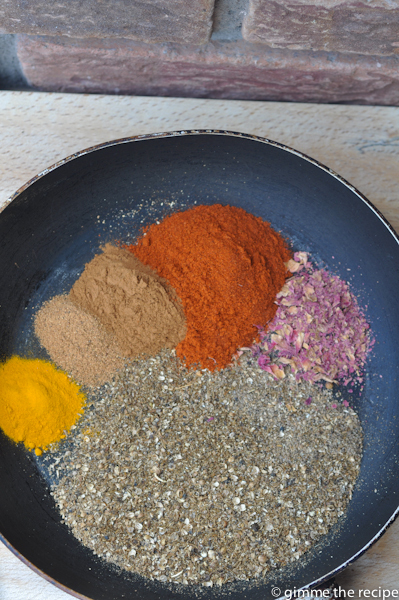 If you come across a blend of spices called ‘Moroccan Spices’ that will be the same thing. 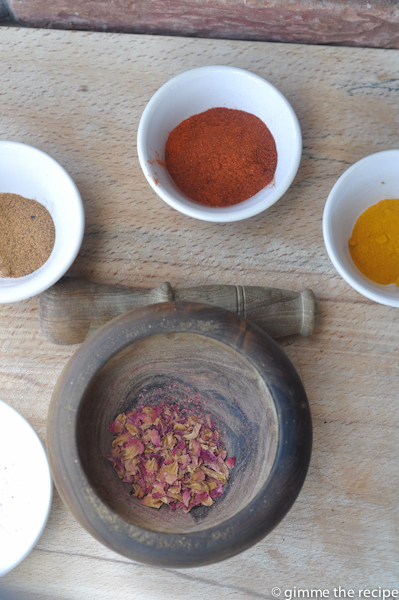 ‘Ras El Hanout’ means head of the shop and its contents vary from spice shop to spice shop in North Africa. It will contain numerous spices and I like to think of it as a warming spice blend rather than a ‘hot’ spice blend if you know what I mean. 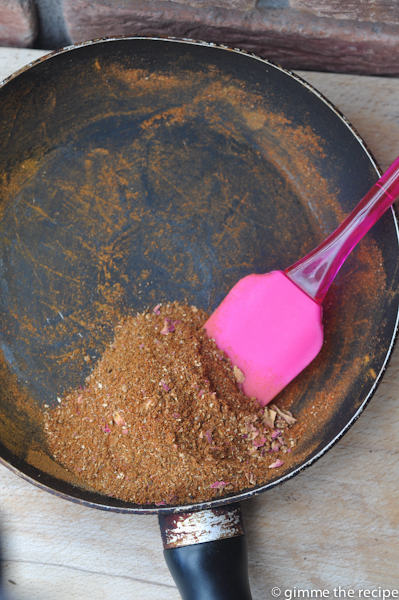 It leans towards sweetness with the inclusion of cinnamon, cardamom and cloves. If you can’t find it in your local supermarket I suggest you ask them to stock it. Failing that most specialist food shops will have it and in my town – Ballincollig they have it in the Quay Co-op. I’ve also bought it in the English Market and in a spice shop on North Main Street recommended to me by Elke O’Mahony. Elke had me on her radio programme ‘The Food Hour’ recently for a lovely chat and she has reviewed Enjoy! on her website Bia Sasta. 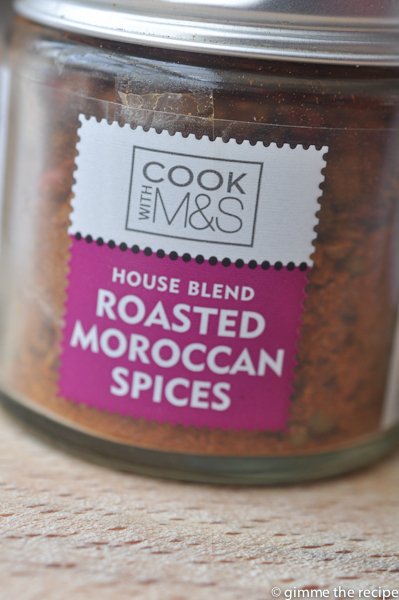 and another alternative called ‘Roasted Moroccan Spices’ is available at Marks & Spencers. 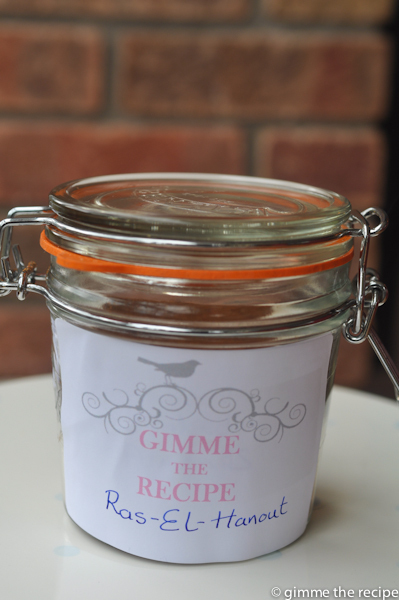 If you know of others available in your supermarket (dry blends – not pastes) I’d love you to leave a comment and let me know. The third packet in the photograph at the top was the one I bought at Khan’s spice shop on North Main Street, Cork. If all else fails you can whip up a batch yourself. 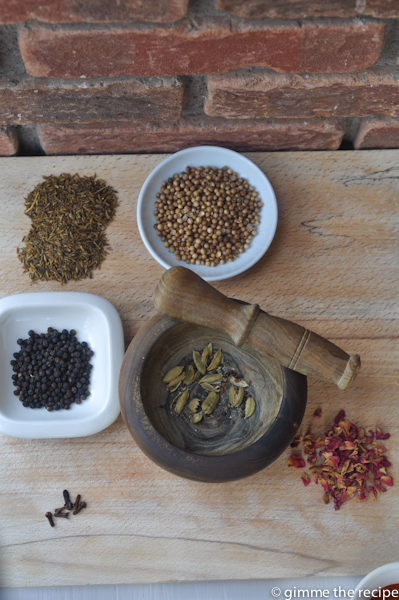 I did this today and am extremely satisfied with my end result however without the aid of a spice grinder it was most definitely a labour of love. 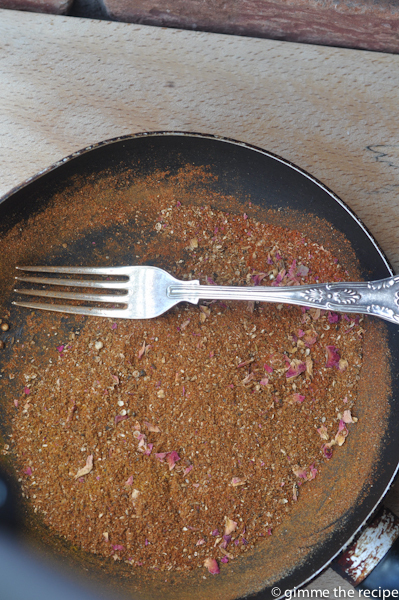 I had most of the spices that I chose to include in my ‘Ras El Hanout’ spice blend at home already but one thing I did seek out was dried rose petals in the English Market. Whether key to the flavour or not, their colour and texture make them a must include for me. 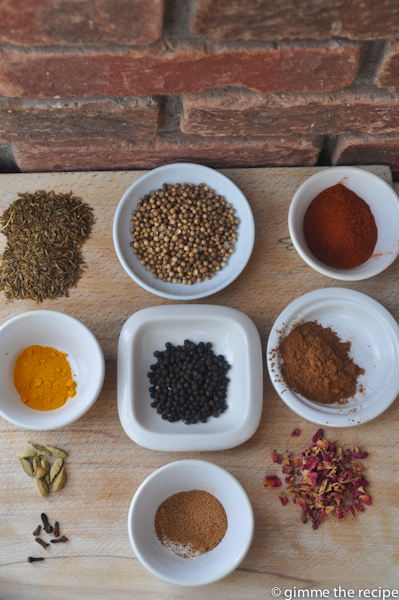 Pictured above are the 10 spices that this ‘head of the shop’ chooses to include at chez Gimme the Recipe. 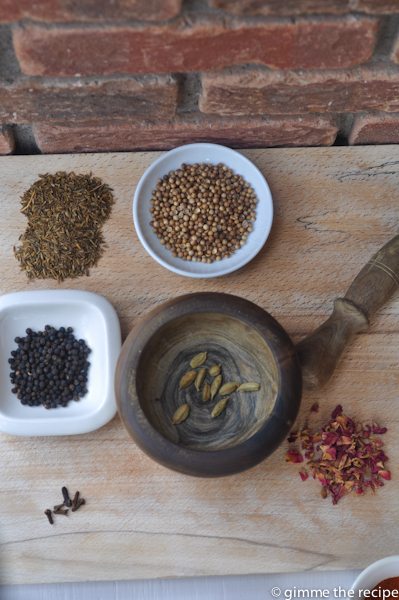 They are : (L to R Top Row) Cumin Seed, Coriander Seed, Paprika (Middle Row), Turmeric, Black Peppercorns, Cinnamon, (Bottom Row) finally Cardamom Pods, Ground Nutmeg, Dried Rose Petals & Cloves. 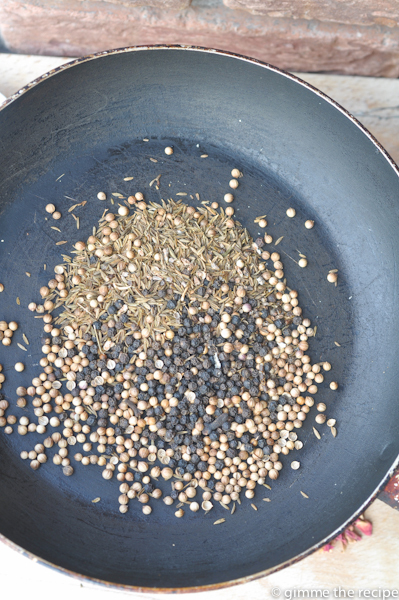 Next step is to combine the whole spices in a dry frying pan for a quick toasting – cumin seed, coriander seed, black peppercorns, cloves and cardamom seeds. 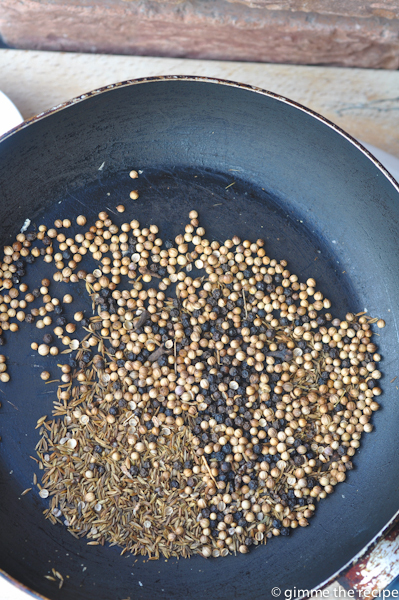 Next up is the fun bit, grinding the toasted spices. I used a regular pepper grinder and between myself and my husband it took us twenty minutes! 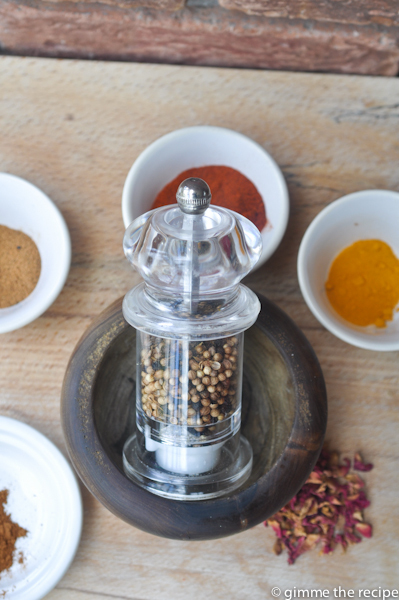 (Adding a spice grinder to my Wish-List pronto!). 20 minutes later : voila! 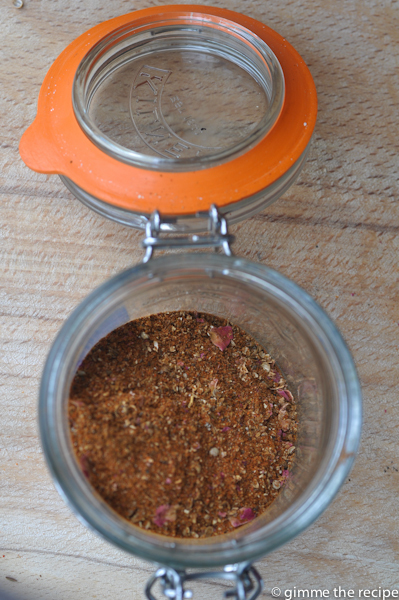 Finally the Ras El Hanout can be stored in a sealed jar for up to 6 months. 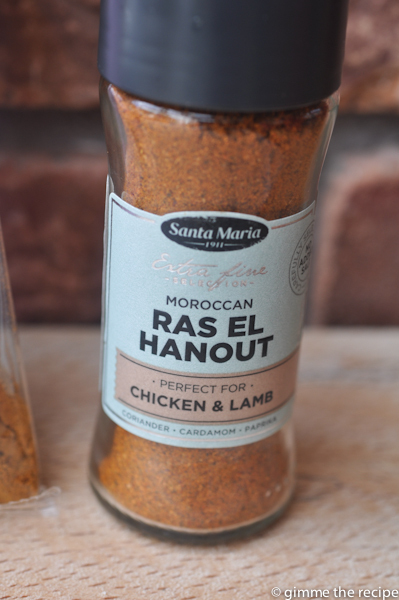 Ras El Hanout is such a great ingredient but I’ve never made my own. This looks great! 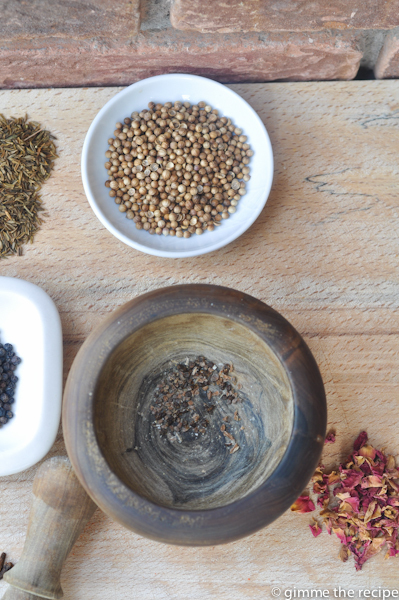 Thank you – I do recommend a spice grinder if you are going to make your own! Yumm! I bet yours will taste so much better than any of the ones you can buy. 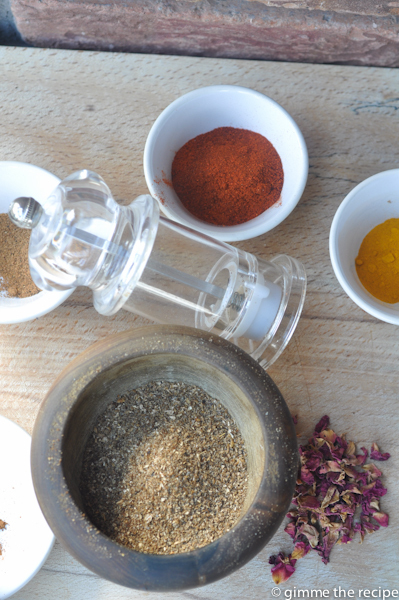 I have Ras el Hanout (a bought variety) in my spice drawer, but I always tend to use the separate spices for a tagine. The only thing I miss from your ingredients list are rose petals.